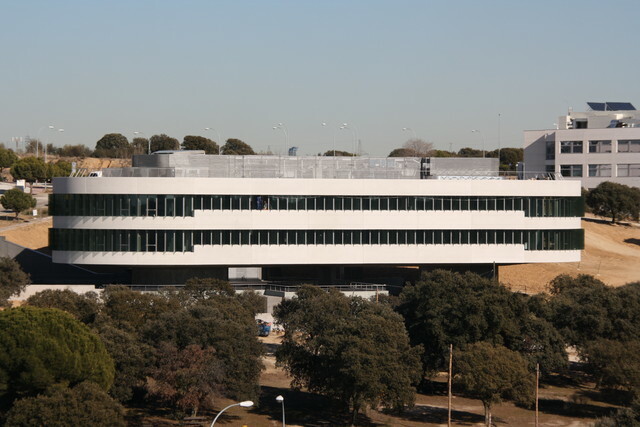 The IMDEA Software building has specific infrastructures for supporting the research activities of the Institute. 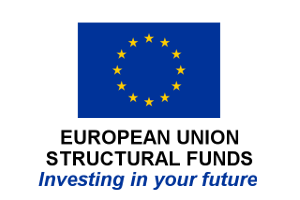 It is located in the Montegancedo Science and Technology Park, Pozuelo de Alarcón, Madrid, a short distance from UPM's School of Computer Science. 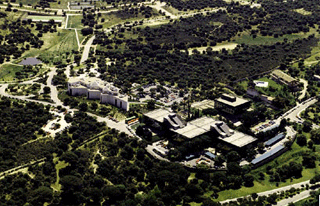 For its construction, a 7,500 m2 plot was assigned early in 2008 to the Institute within the Montegancedo park. A call for design ideas for the building was published in early 2008. Responses from six renowned architects were received. 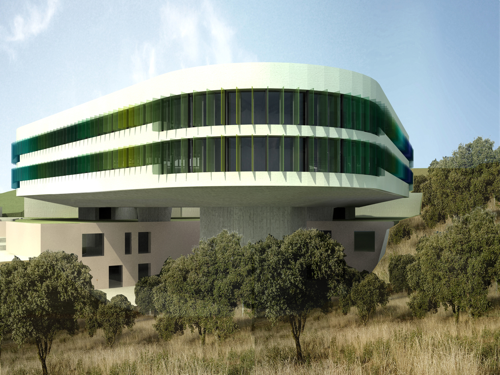 In November 2008, a committee with representation from IMDEA Software staff, the Madrid Regional Government, and external experts decided on the winning design by Estudio Lamela, as well as awarding second and third place prizes to Antonio Fernández Alba and Estudio Lopez-Asiaín, respectively. 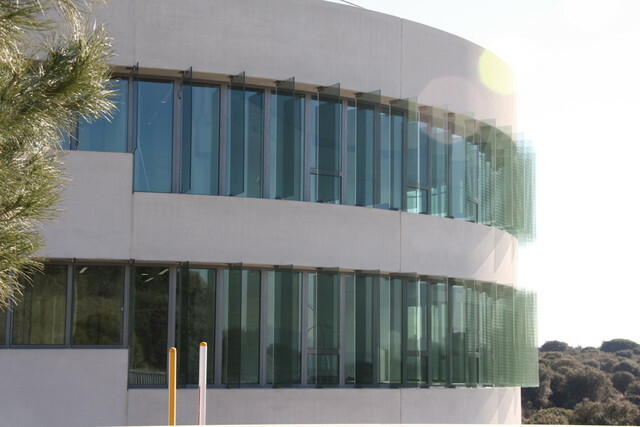 The final design of the building by Estudio Lamela evolved in close consultation with researchers from IMDEA Software, to ensure the maximum adaptation to the scientific needs of the Institute. 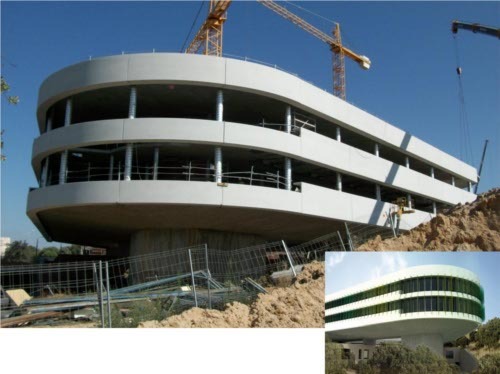 The construction of the building started in June 2010 and was completed in 2012. 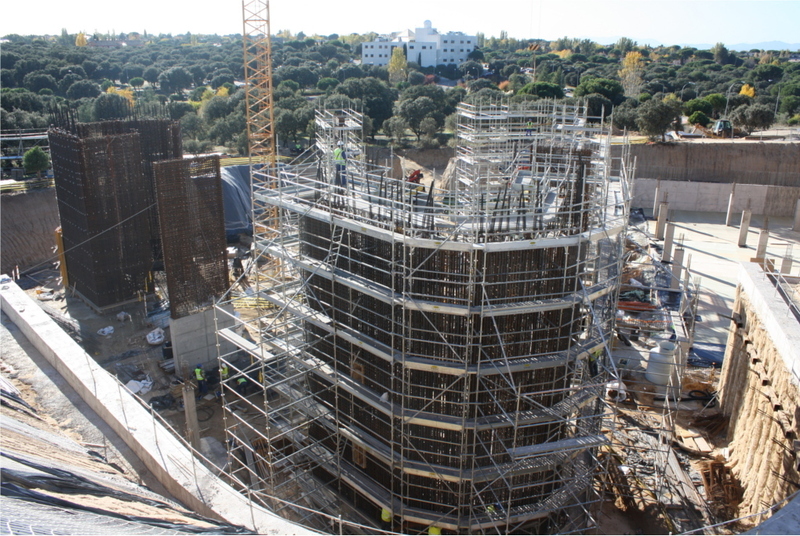 The figures shown in this page illustrate the design of the building as well as the progress in its construction.